Calling all combatants! 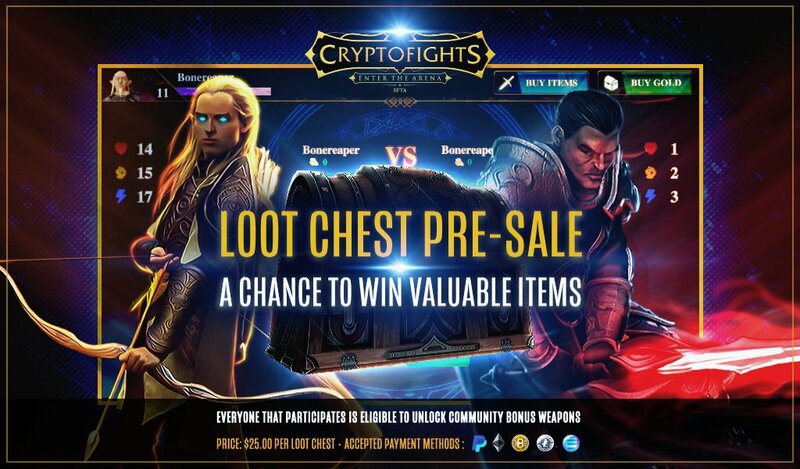 The CryptoFights Presale is now live! Don't miss your chance to own a piece of blockchain gaming history in the form of CryptoFights items, all of which are ERC-1155 tokens backed by ENJ and ready for the Multiverse! It's time to fill up your own digital armory on the Ethereum blockchain and prove your might in 1v1 turn-based RPG combat! CryptoFights MFT- This Multiverse Founders Token will earn holders an exclusive Founders Weapon Bundle, as well as perpetual rewards and other bonuses for the life of the game. Genesis Zero Weapons- common-legendary rarity levels. Four different types of Early Adopter weapons (Quarterstaff, Shortsword, Club, and Dagger). These limited-edition weapons have a custom branded “EA” symbol on the weapon and will never be minted again. 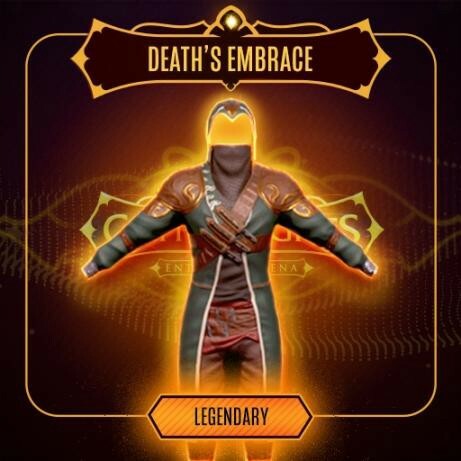 Legendary Armor — For the first time ever, you will have a chance to own CryptoFights Armor. Never released before now, this is your chance to equip a powerful piece of blockchain gaming history! 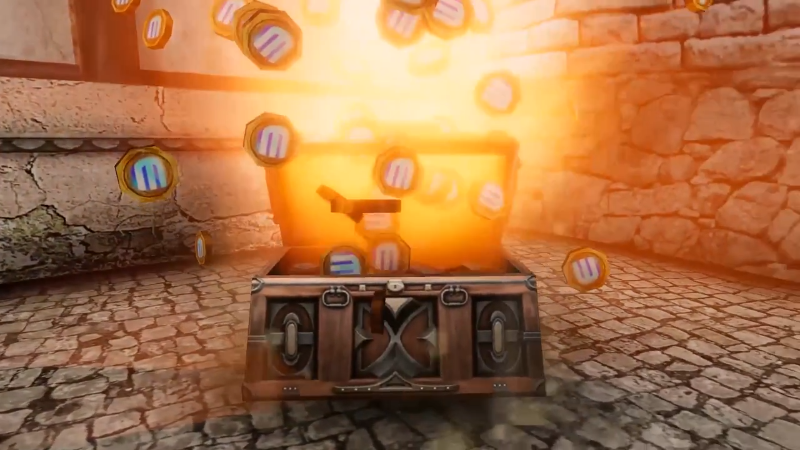 As people purchase loot chests, the global community bonus scale will increase. This is a milestone system that will unlock rewards for ALL presale participants! Purchasing a chest entitles you to all past and future milestone rewards in this presale. 1 chest purchase = 1 point on the milestone scale. 1 of each of the Early Adopter weapons (1x Quarterstaff, 1x Shortsword, 1x Club, and 1x Dagger) for a total of 4 Early Adopter weapons! 1 Exclusive Special Weapon - Exclusive to the top 10 supporters, this powerful weapon will never be minted again. Specific details coming soon. During the CryptoFights Presale, you will be able to make purchases using PayPal (fiat purchases), Coinbase Commerce (BTC, LTC, ETH), or ENJ via QR code. For Coinbase Commerce payments, you can send from any wallet (no Coinbase account needed). Price is $25 USD per Loot Chest. 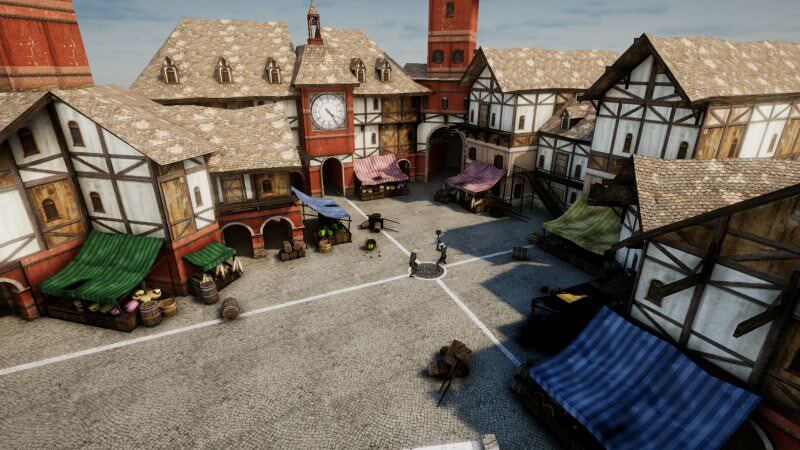 At it's core, CryptoFights is a 1v1 strategic turn-based fighting game. Think Dungeons and Dragons meets Street Fighter. Players will engage in single combat by either initiating an open challenge to all comers, or accepting one of these challenges. This promotes quick matchmaking for the Defender, while offering Challengers a bit of insight into their opponent in the form of their Race, Level, and previously equipped items. Players will earn XP and Gold for each battle won, allowing them to level up and strengthen their Heroes with XP and purchase new weapons and armor from the Marketplace with Gold. So, you think you have what it takes to climb the ranks in CryptoFights! Well met, champion. Whether you seek the glory of the arena or the untold riches that come with it, everything begins with the creation of your first hero. Dwarf: Born of the mountain and the mines, Dwarves are the hardiest race of all with a +2 bonus to resistances and +2 to Vitality. Elf: Ancient and honorable, Elves are known for their speed and dexterity above all else. With +10 to Initiative and +5 Agility, Elves like to strike before their opponent lifts a finger. Once you've selected your race and customized your hero's appearance to your liking, it's time to allocate your stat points. Every new hero is given 10 stat points, and they can be distributed in any way you see fit. Heroes will also receive 1 skill point every EVEN level up (2, 4, 6, 8 etc). This is where strategy comes into play, with each player free to make as many Heroes as they see fit. We strongly encourage experimentation and recommend creating a variety of unique builds for different situations. In the world of CryptoFights, there are many different types of weapons to outfit your hero with. Be it a sword, dagger, quarterstaff, crossbow, or anything in-between, there truly is a weapon for every occasion. Each weapon has different properties (and occasionally bonus stats) applied, making them an integral part to any player's strategy. You've created your Hero, equipped them with gear, and have either accepted or issued a combat challenge. Now it's time to fight! 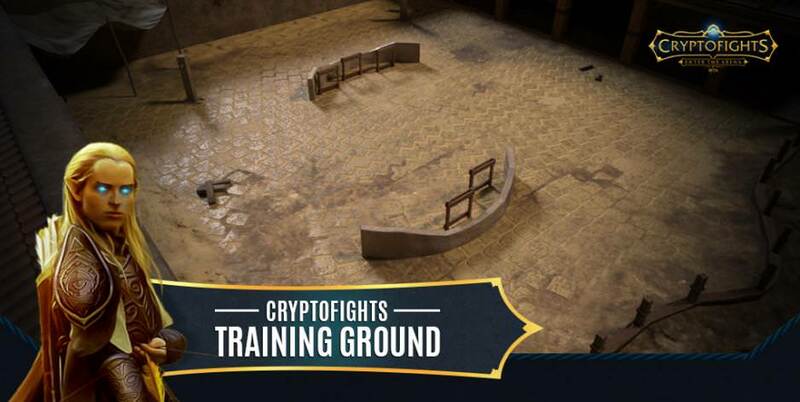 CryptoFights uses a combat system similar to that of traditional tabletop games, with actions relying on dice rolls and modifiers. Initiative Roll - Each hero makes an Initiative roll to determine who goes first. Attack Roll - At the beginning of a hero's turn, an Attack roll is made against the opponents Armor rating, to determine if their attack hits or misses. Damage Roll - If the attack is successful, a Damage roll determines how much damage the opponent takes. Improved Attack - Depending on their equipped weapon, heroes can unleash a devastating Improved Attack. Health Potion - Each hero can take a swig from their Health Potion in times of need, with a dice roll determining the amount healed. Defensive Stance - Expecting some damage? Have your hero assume their Defensive Stance to mitigate some of the hurt. Very soon. The presale is now live, closed beta will be launching in January, with open beta and full game launch following shortly. Just updated the post with new info! I love it! Cannot WAIT to fight my friends for sweet ENJ backed goodness! EnjinCoin is really killing it with the third party support, this game included. They are gearing up to be the PlayStation 2 of blockchain gaming platforms.